Recycling company Valpak approached NSI after they identified the need for two new offices to be built over an existing work area, with sound proofing to block out the very noisy surroundings. NSI designed and built a mezzanine floor which was fire rated to conform with building control regulations. 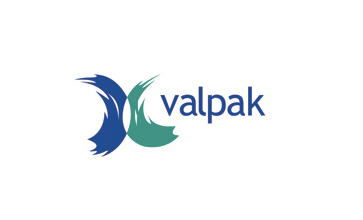 NSI also obtained building control approval on behalf of Valpak. The factory unit had restricted head height and the platform was reduced in finished floor height to accommodate this. A landing was then built in front of the mezzanine floor to maximise space and accommodate access to both of the offices. Double skin steel enclosures were built as offices with a dividing wall to create two smaller offices with a self-supported ceiling above the enclosure. Our double skin office or factory partition offers a versatile attractive appearance for the working environment. It is also ideal for food areas and cleanrooms. Panels can be supplied in a fully fire-rated version to BS 476: Part 22 1987. Noise reduction capabilities can also be offered. This type of partitioning is offered complete with a full range of proprietary suspended ceilings with tiles that cover the full spectrum of textures and styles, and can be a cost effective answer to all your space management problems. Panels are available in: full steel, steel/glass/steel, steel/glass, fully glazed, and chair rail glazed. All panels are supplied with TGIC and lead free powder coat, to an average thickness of 70 microns. Partitioning is available in Sandstone, Grey or White. However, non-standard and corporate colours are available upon request. Click here to contact us about Mezzanine Floors & Double Skin Steel Partitioning.